Description: The question estimation of measurement uncertainty according to control measurements with application of reference materials is considered. Advantages and lacks of the specified algorithm estimation are analysed. 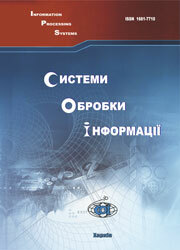 Kotsiuba, A.M. (2007), “Otsiniuvannia nevyznachenosti vymiriuvannia za rezultatamy kontrolnykh vymiriuvan z vykorystanniam standartnykh zrazkiv”, Information Processing Systems, Vol. 6(64), pp. 51-53.